Have you seen this statue? Has anyone tried to sell it to you in suspicious circumstances? The bronze ornament was stolen from a garden on Kingsgate Street in Winchester overnight on 24 September. 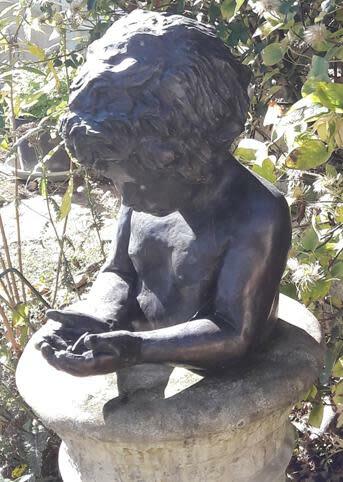 The statue, which depicts a child holding a butterfly in cupped hands, is of great sentimental value to the owner and we would like to get this item returned to them. If you have any information about where this statue might be, or who took it, then please call us on 101, quoting 44180361479. Alternatively, you can call the charity Crimestoppers anonymously on 0800 555 111.